The ETF and its affiliates are running a long-term political campaign for a fair Mobility Package. This package of EU reforms could totally change working life for drivers in Europe. 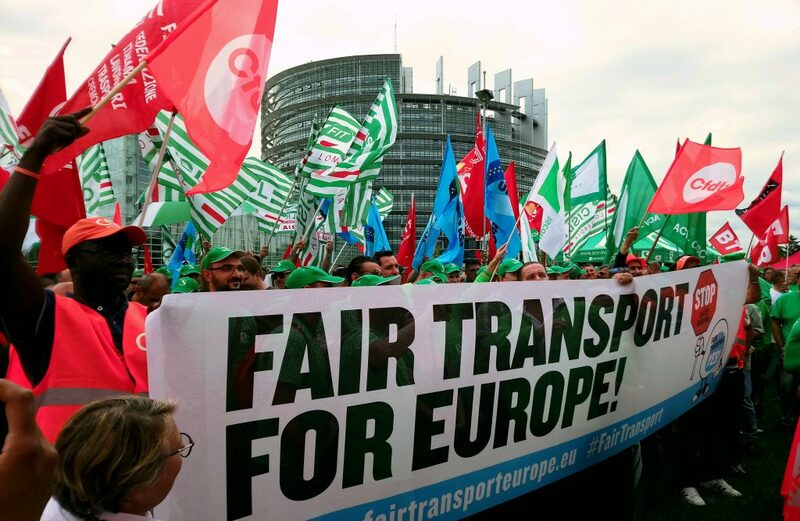 On 29 May 500 drivers and union activists from six countries met in front of the European Parliament in Strasbourg to urge MEPs not to change core rules of driving and rest time. The unions are concerned that such changes will have a devastating impact on collective agreements. The drivers fear impact on bonuses relating to week-end work, impact on wages and on time spent with their families. More than 20 members of the European Parliament and group leaders from 4 political groups joined and addressed the demonstrators.